To Dog With Love: Help Pets Lose Weight the Easy Way With #HillsPet Metabolic Diet (and Giveaway)! Help Pets Lose Weight the Easy Way With #HillsPet Metabolic Diet (and Giveaway)! Do you love your pet? Silly question, right? Do you love your pet so much that you can't resist giving him an extra treat or an extra scoop of food? Does your pet look at you with adoring eyes like he's STARVING all the time? I know what that's like! Rocco is a master at looking at me like I forgot to feed him. Lucky for me, Rocco is REALLY active and he's super fit. His vet says he has the heart rate and body of an athlete. But the reality is that about one out of every two of you reading this post has an overweight cat or dog. In the U.S., 53 percent of dogs and 55 percent of cats are now overweight. Is your pet one of them? We know it's no fun to cut back on treats or control portions. 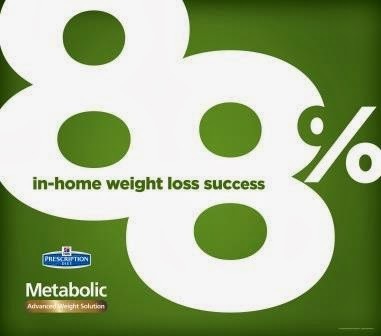 That's why we think the Hill's Prescription Diet Metabolic Advanced Weight Solution is really cool. Hill's has made it super easy for pet parents to help their dogs and cats lose weight safely and quickly. 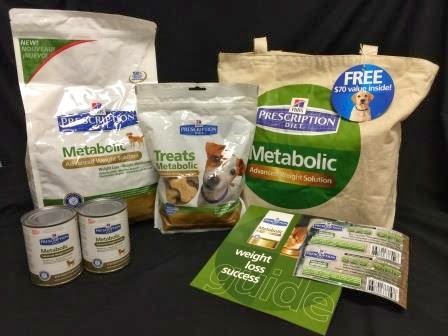 The Metabolic Advanced Weight Solution includes a complete portfolio of dry and canned food, and treats designed to work together for easy, flexible dog and cat weight loss success without deprivation. for a slimmer, trimmer pet! Hill's Prescription Diet Metabolic Advanced Weight Solution food works by activating metabolism to regulate appetite and burn fat. In real life, normal conditions, 88% of dogs and cats that participated in a Hill's feeding trial lost weight without having to greatly change their life style. Take a look at this sweet kitty who's just a wee bit overweight. Do you recognize anyone you "know" in this video?! It's a really cute video and sure to make you smile. But overweight dogs and cats are no laughing matter. 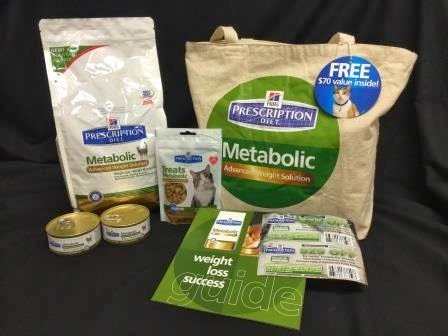 If you're not sure if your pet is overweight, ask your vet if you might benefit from Hill's Metabolic and then read down to enter for a chance to win your own Metabolic Starter Kit! Win a $70 Trial Kit! To enter, there are two steps. (1) complete the form below with your pet’s information and (2) complete the giveaway widget located at the bottom of this post (enter your name and email address to get started). The winners will be selected by the widget at random. This giveaway is limited to one winner per household and is for U.S. residents only. Just like with humans, before starting your pet on a weight loss program a doctor should be consulted. 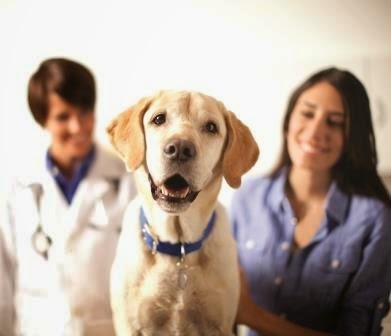 Your veterinarian’s authorization is required before starting Hill’s® Prescription Diet® Metabolic Advanced Weight Solution food. This post is sponsored by Hill’s. I am being compensated for helping spread the word about Hill's® Prescription Diet® Metabolic Advanced Weight Solution, but To Dog With Love only shares information we feel is relevant to our readers. Hill's Pet Nutrition, Inc. is not responsible for the content of this article. Scylla really needs to lose weight this sounds like the perfect program for her. Sierra needs to lose weight but we are just going to exercise her more. love dog,but i have a cat. Thank you! He's sweet and rowdy, the perfect pup package!